What do we have here? 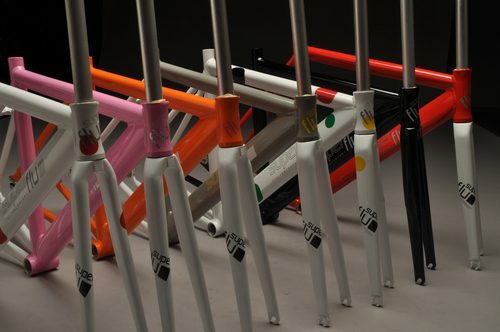 I was browsing the Flickr group “SS/FG Bicycles” when I came across this new track bike company, Superfluo Concept. At first I thought they were miniatures. Obviously, at second glance, they’re aluminum track bikes. Nice colors! and look, matching caps. Not much on their site, so I’d suggest emailing them here with any questions.